With an array of crystal singing bowls and instruments, Heidy Renard and Stephanie Luo have co-curated “The Essence of Music – a concert of sound vibrations”. The best way to enjoy and appreciate a piece of music is to experience it in person. When you are physically in the room where the music is being played, you will interact with the sound vibrations more intimately. The sound vibrations will indulge your physical senses, relax and rejuvenate your mind and body and connect you with the quintessence of life. Heidy is an Integrated Wellness Facilitator at Luxe Nova. She has been teaching yoga since 2006. She has developed the breadth and depth of her practice, integrating learnings from various faculties, including pranayama, meditation, yoga, reiki and sound healing. It gives her a great joy and gratitude to be able to spread her practice and to empower her students and clients to experience peace, balance and joy. Heidy was born and raised in Hong Kong. Stephanie is Chief of Creativity at Luxe Nova. 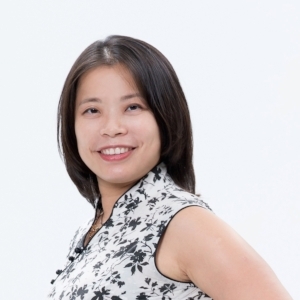 She is an accredited Organisational Coach and Usui Reiki Master Teacher. In enhancing her wellbeing, she has been led to discover the use and benefit of energy and sound healing with reiki and singing bowls. She regularly facilitates mindfulness practice and meditation for private clients and corporate clients. She was born in Taiwan and raised in England. She moved to Hong Kong in 2006. "Corporate Wellbeing" is the new focus and mental wellbeing is key to all aspects of corporate wellbeing. When the senior executives or senior leaders are able to take charge of their own wellbeing, they will in turn influence and empower their team members to take care of their own respective wellbeing. This will help to increase engagement and performance outcome. Tea Meditation intrigues people because, as the name suggests, you drink tea and meditate at the same time. This introductory workshop is designed to allow you to be able to practice tea meditation easily, whether at home, in the office or even on the move. You may join the regular workshops or book for a private session. The practice begins with pranayama(breathing exercise), followed by a sequence of asanas (posture) and a guided meditation at the end. A well-deserved deep relaxation at the end is guaranteed. Sound and music is known as an important part of the healing process. It has been known and used as way to release stress, anxiety, depression, insomnia and chronic pains. With the use of Gong, the sound vibrations can permeate deeper into the cellulars of our physical body. It can achieve a realignment of physical, mental, emotional and spiritual aspects of the body.